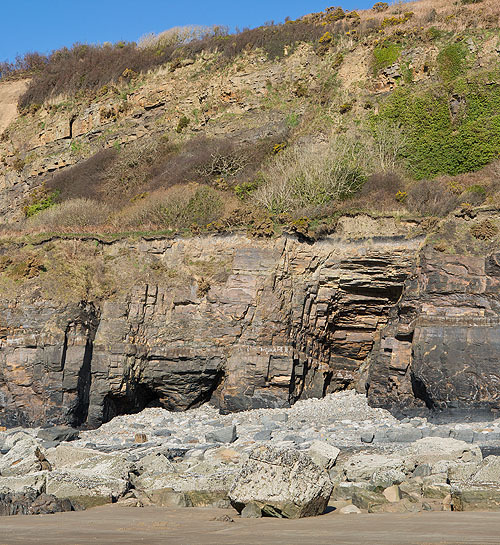 A section of the Sea cliffs, near Amroth . Mining has taken place from the beach . The scrub above is colonising a flat area where the top of the cliff has also been removed through mining.